i've become an employee now! means its time to say good bye to my anti-fit jeans, denim shirts, sports wear, north-star shoes etc! and now its over to full formals! i still cant believe this is happening! 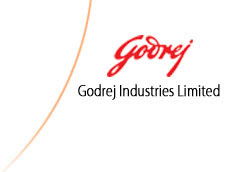 GODREJ AND BOYCE MFG CO LTD! tats where am gonna work! a 110 yr old company....... tats a fctr i can boast off at!!!!!!!!! now i am a part of it! have been recruited for the material handling division, where they manufacture forklifts and similar industrial products! tat'll be in my visiting card soon! thou the interview process including medical test got over 3 months ago, i got my call only a week back! anyways, its better late than never! and i cant wait to attend the training programme at bombay, which's the head office! "the more power one gets, the more responsible he becomes"
responsibilities as in, at work as well as at home! still i feel tat everything in my life has happened perfectly(so far)! right move at the right time! i dint move anything thou! the sagitarian's luck, once again proved! bottom line is -> am a happy man now! had enuf fun for the past 21 yrs! now its time to get serious!